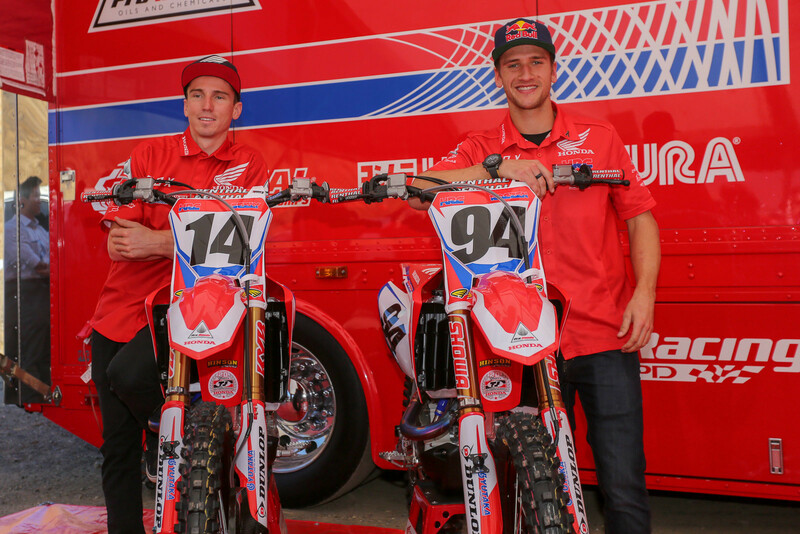 We've gathered some of our favorite still shots from the team intro for Team Honda HRC and GEICO Honda. We're getting close to the end of pre-season team introductions (at least the ones we know about), but today's was a biggie. 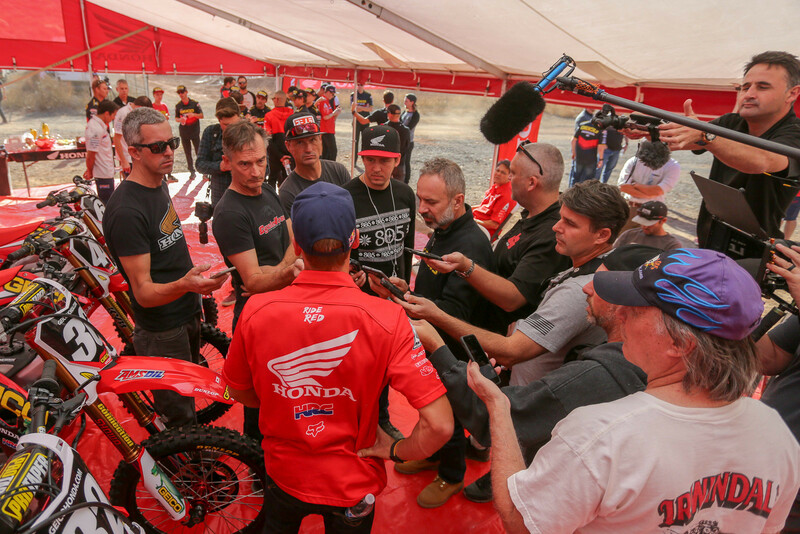 Honda brought out their Team Honda HRC rig (and test rig) to their track, and also had their 250 team, GEICO Honda, on hand for an '18 intro. 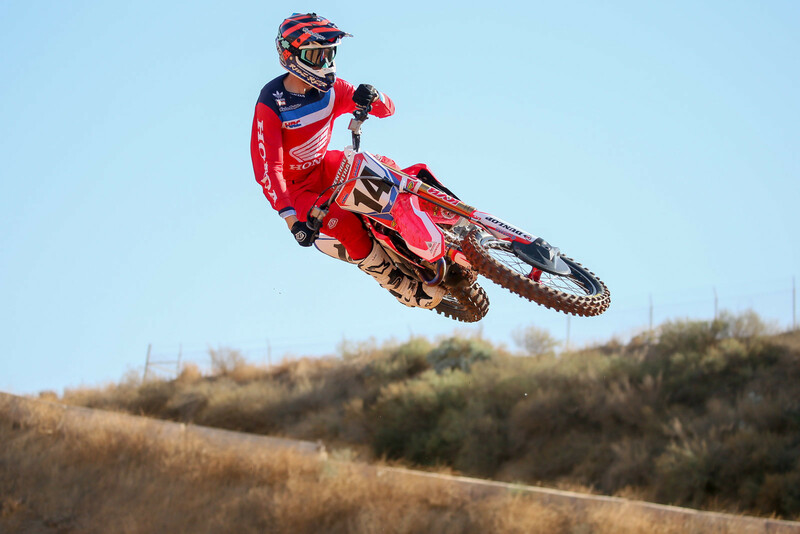 Of course, the big news of the day was a chance to see Ken Roczen back on the bike after he destroyed his arm at Anaheim 2 earlier this year. After nearly a year filled with way too many surgeries, and a whole lot of work, it was good to see him back on a bike and flying. 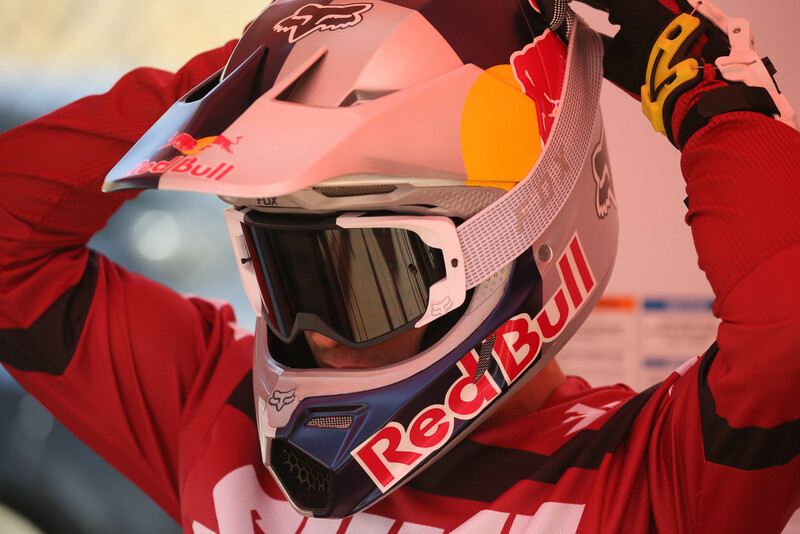 Look for a lot more from the day (including riding video and interview with Ken, and many of the other riders on the teams), as well as the photos below.